These versatile cricket trophies are suitable for both team and individual awards, and for mens, ladies, boys and girls cricket prizes. Crafted in durable resin, they are 3.25in tall and have a gold and bronze colour finish. 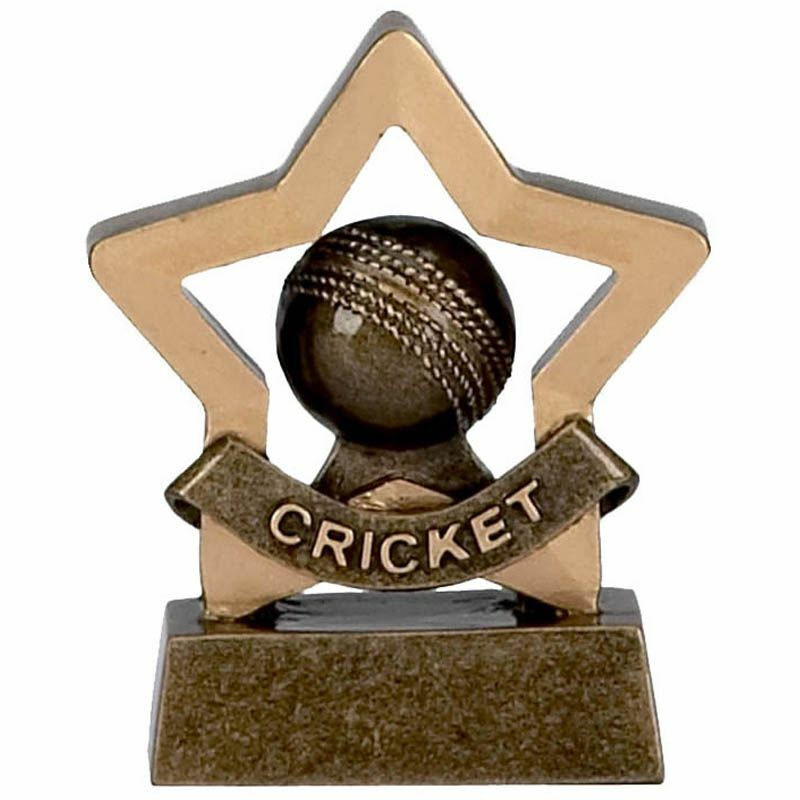 They feature a five point star inset with a cricket ball and with a banner with the legend 'cricket'. They can be engraved on the base.